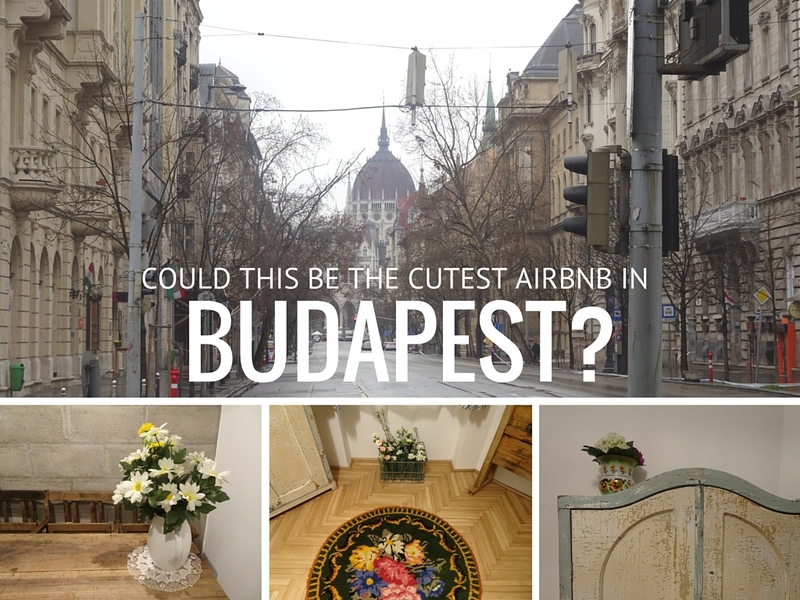 I’ve got a small confession to make: up until my trip to Budapest this March, I had never EVER stayed in an Airbnb. Shocking, I know. Sure, I had found myself on the website on an almost daily basis falling in love with the most gorgeous Airbnb apartments. And sure I had planned at least half a dozen trips based around impossibly cute homes all over the world. But I’d never once physically stayed in one. That all changed when I was looking for 3 nights of accommodation in Budapest. With less than a month before we were due to arrive, all the cutesy hotels had sold out – and so I turned to Airbnb. And that’s where I found The Double Vintage & Hand Crafted apartment. 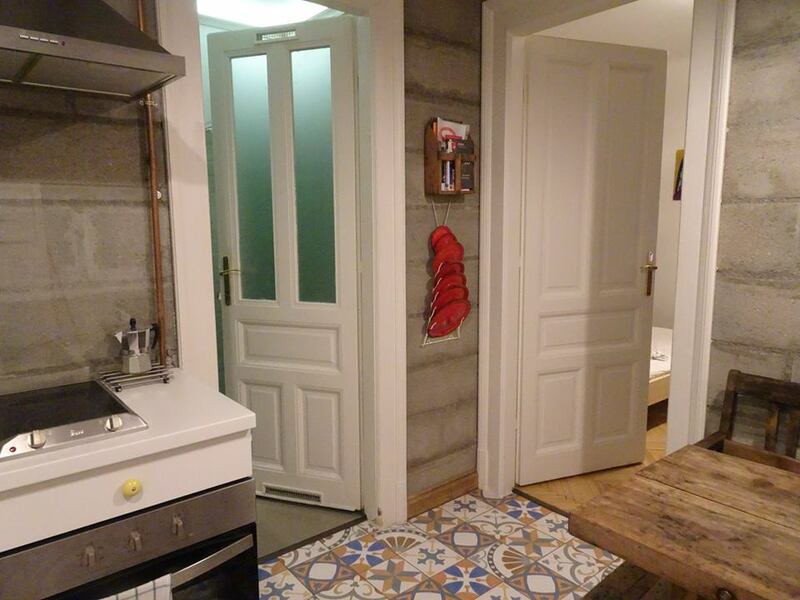 Looking for an impossibly cute Airbnb in Budapest…? To say that we picked a fantastic apartment for my first Airbnb experience would be an understatement and a half. As we strolled up to the outer doorway of The Double Vintage & Hand Crafted apartment, I turned to my left and saw the top of the Hungarian Parliament Building peeking out over the neighbouring flats. Not a bad location for our first time in Budapest. BTW…want £20 Airbnb credit? Use my code by clicking here! 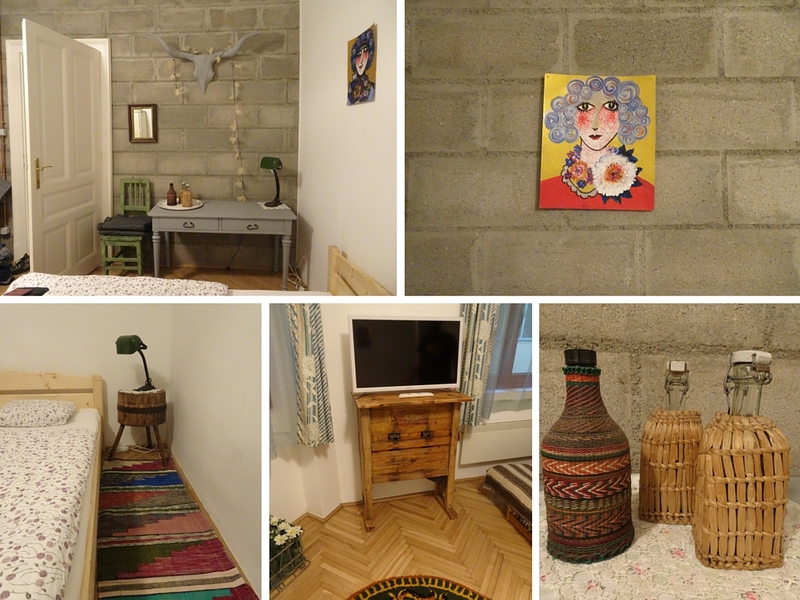 After stepping through into a private courtyard, decorated with decadent ceilings and grand chandeliers, we were shown into our ground-floor apartment – our own little home-from-home for three nights. I hadn’t been in the apartment 10 seconds before I decided I was madly in love and wanted to purchase it straight away and live in it forever. I mean, how cute can an apartment actually get?! I could 1000% imagine Jim and Ralph curling up on all the available beds and having a wander around the courtyard. 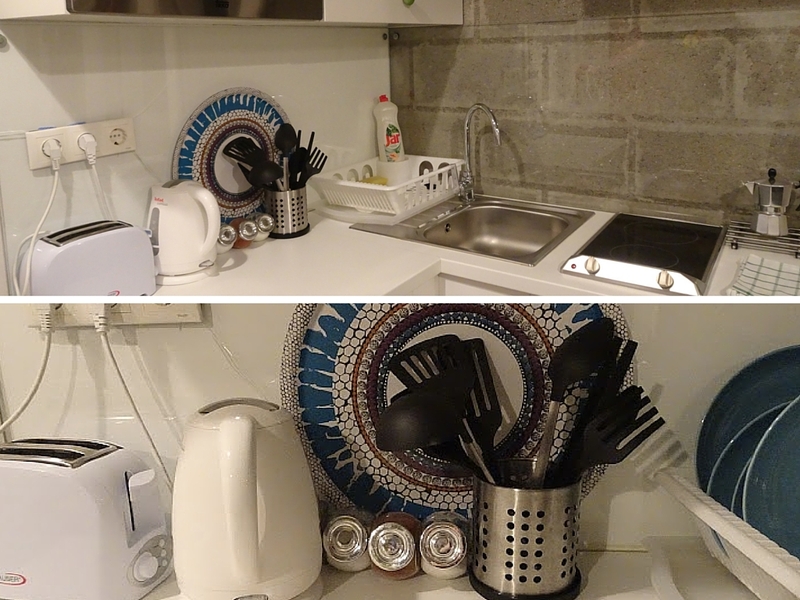 A friend of our Airbnb host met us and was able to talk us through the apartment’s quirks, as well as the local area. We were also provided with a map and some advice on where to go and what to see. Handy, seeing as we only had a few days in the city to see everything! With two bedrooms, the apartment could easily fit six people in (and numerous cats) despite its small size. Both bedrooms feature a double bed, while there’s a sofa that can also unfold to form a bed for two people. 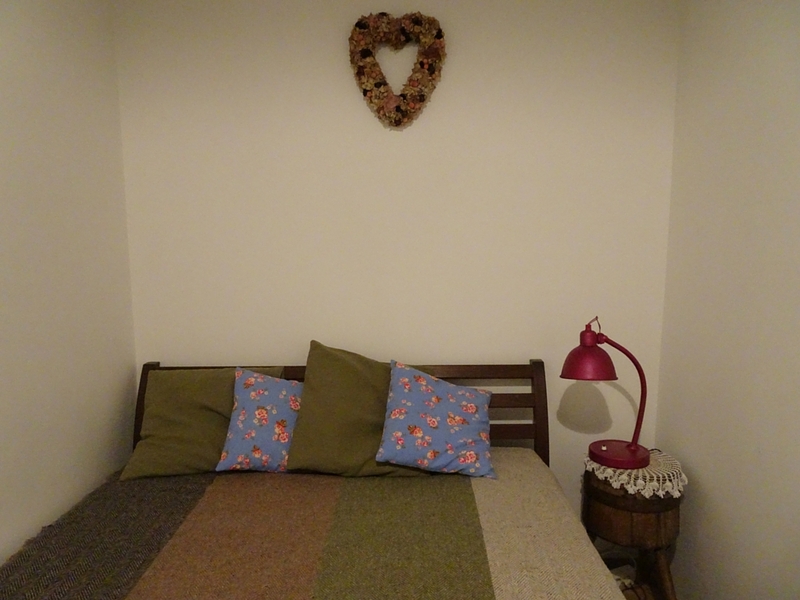 But, we found that the apartment was absolutely perfect for two people. My boyfriend and I had plenty of space to spread out with all our stuff, and just about enough kitchen space to rustle up breakfast and evening meals. Mind you, I still would have been cool with the second bedroom, even though it was a little smaller (and had no smart TV…). 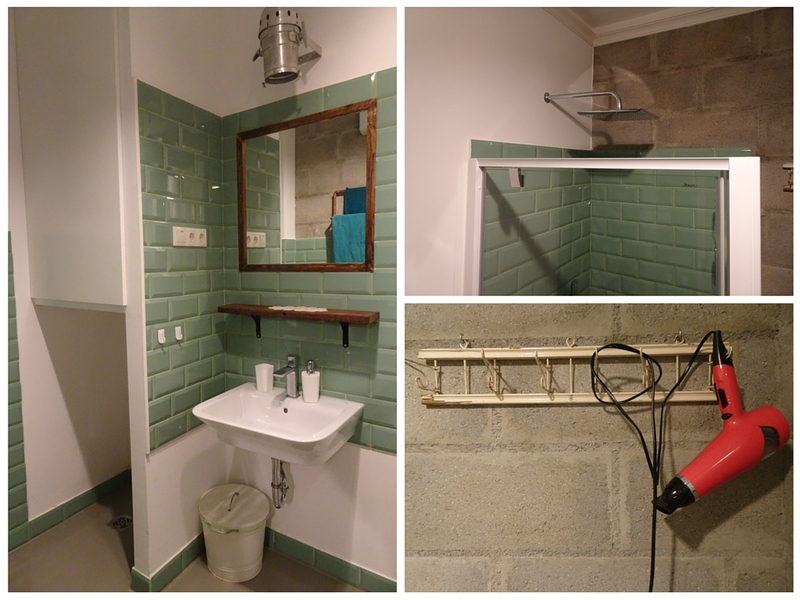 Just like the rest of the apartment, the bathroom was also rather chic. 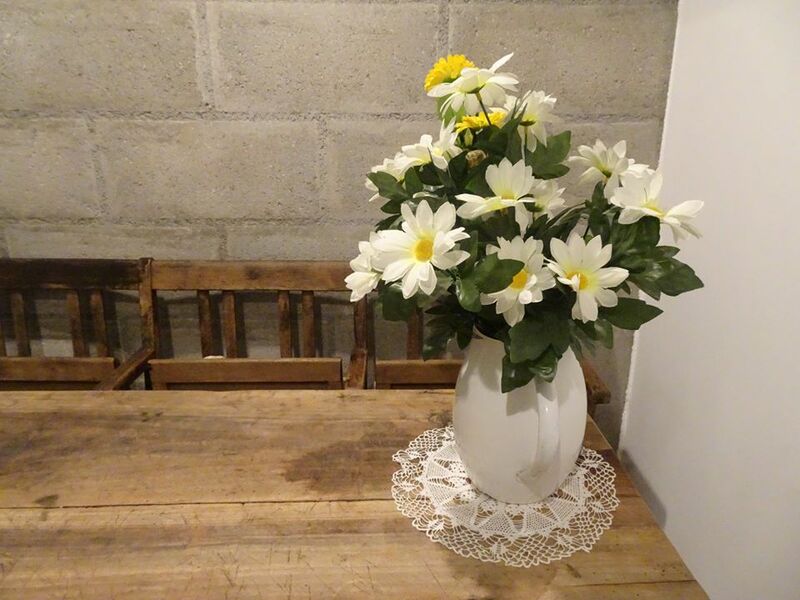 With green tiles, a monsoon shower, theatre spotlights and, of course, more Hungarian doilies, going to the toilet or having a wash felt a lot more like a special occasion rather than a chore. We had to pop to the nearby pharmacy to pick up shampoo and body wash for in the shower, but those were so ridiculously cheap it was almost laughable. Over on the kitchen side of things, there’s all the appliances you could possibly need for a short stay, including a hob, a fridge, a microwave, a sink, a toaster and a kettle. Washing up liquid was provided, as well as all the kitchen cutlery and plates/bowls/cups. Budapest is one BIIIIG city. I completely underestimated the size of it before I turned up. While the map may make things seem really nearby, the streets in Budapest are so wide and so long that you’ll find yourself desperately trying to work out how to flag down a taxi. Luckily, The Double Vintage & Hand Crafted is located right near an underground station (Nyugati pályaudvar). Not only that, it’s right behind the Hungarian Parliament, which leads you round to the Danube River. A walk along here brings you to all the major attractions, including the Shoes on the Danube and the Chain Bridge. One other good thing we found about the Airbnb was the fact it was so near much of the nightlife, including restaurants, pubs and ruin bars which were all just a 10-15 minute walk away. Otherwise, it was a very quiet area, surrounded by shops. We felt safe the entire time we were there, even when we were getting back late! When it was time to pack our bags and say goodbye to our wonderful Airbnb, I must admit I did shed a little tear. I was actually completely jealous of the people who were staying in the apartment after us – and I was even planning my return back to Budapest just so I could stay there again. 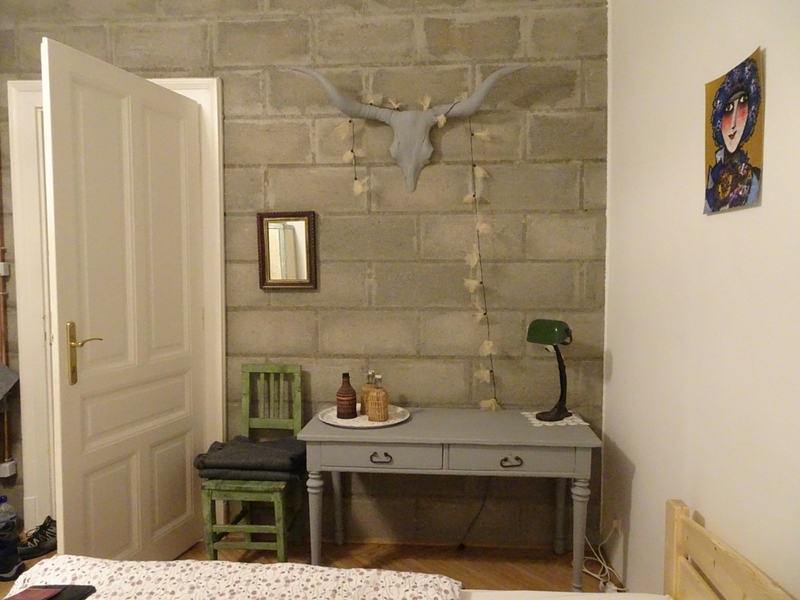 Which, I suppose, just goes to show you just how much I loved my first ever experience of Airbnb! Where’s the best Airbnb you’ve ever stayed in? It’s proper cute Emily and sounds so well placed! 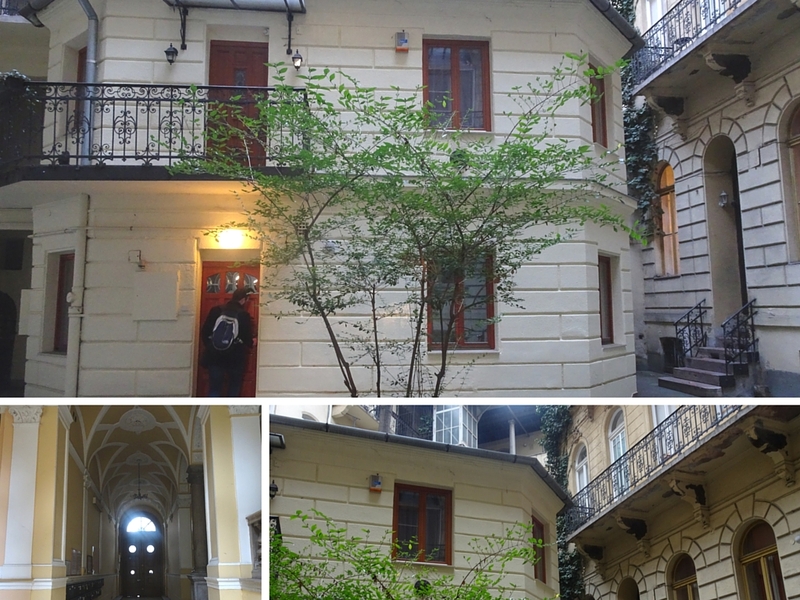 I adored my apartment in Budapest too, it was soooo beautiful – just like the whole bloomin’ city! I’m desperate to go back already…. There are so many unique places to stay all over the world. I love it.